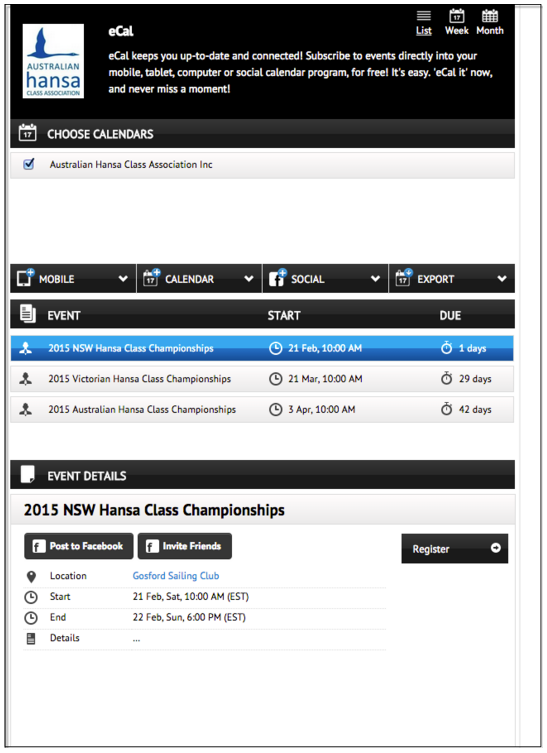 Events Display on the eCal Calendar provided they are set as Active in the Events Functionality. The Information entered into the Event will display on the eCal Calendar including the Date, Time & Venue information. A link to register via the Online Registration Form will be available, provided a Member to Event registration form has been linked.